Thank you for your interest in the U.S. Services Academies! Please find more information on the application process below. If you have any questions, please feel free to contact our Academy Coordinator, Crystal Gilbert. She can be reached by email at Crystal.Gilbert@mail.house.gov or by phone at (770) 429-1776. The application process for the U.S. Service Academies is extremely competitive. Be sure to apply with all of your nominating sources. Please note, each nominating source will have different application deadlines and requirements. Be sure to review each application packet thoroughly, so your application is correctly and timely filed. Late applications will not be considered. Four of the five U.S. Service Academies require a nomination from one of the above nominating sources. More information on each Service Academy, and eligibility requirements, can be found on the Academy websites. 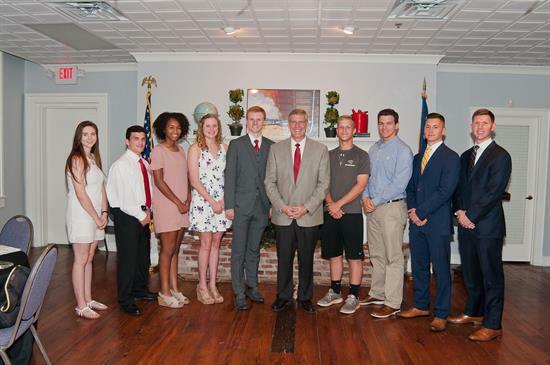 Please see the links to Congressman Loudermilk’s Service Academy Application for the Class of 2024 below. This application is an auto-fillable form; and, it is highly recommended you use the auto-fill feature to create a concise application. For additional guidance, be sure to print the Instruction Page. This page, along with the check-off list on the application, will insure you have a properly completed packet when it is returned to Congressman Loudermilk’s office. Applications will be accepted starting Monday, July 22, 2019 until Friday, October 11, 2019 at 5:00pm. No applications will be accepted after 5:00pm on October 11, 2019. If you have questions, please call or email Crystal Gilbert at crystal.gilbert@mail.house.gov or by phone (770) 429-1776.